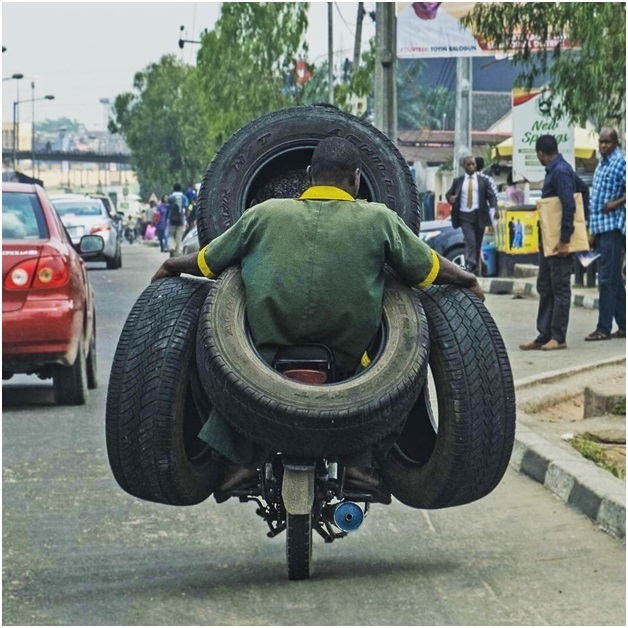 Wednesday, March 27, 2019 - These photos of a vehicle mechanic carrying four heavy duty tyres while on the back of a motorcycle are trending on social media. Netizens are wondering how this guy and the rider pulled this off. 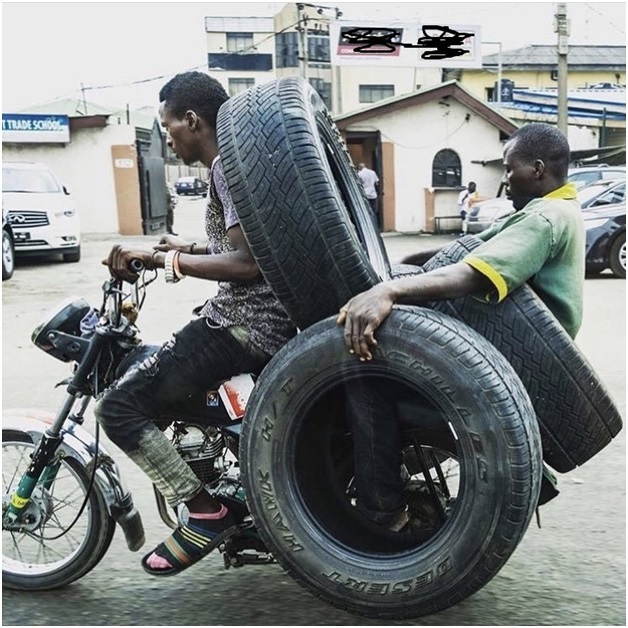 You may have seen people carry crazy stuff using motorbikes but this guys take the biscuit.